Share all your flights and log data. The global leader in data analysis for general aviation aircraft. 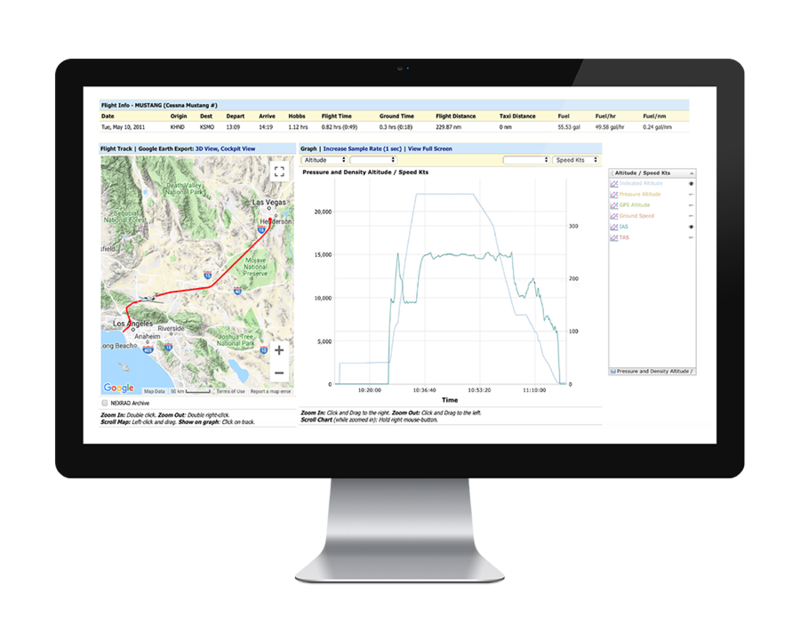 FlightData is a free, web-based Flight Log & Engine / Flight Data Analyzer, enabling you to easily view information from avionics log files. Our online portal is compatible with all of the most popular avionics platforms and is designed to empower aircraft owners and operators to make informed decisions. Google Earth 3D flight path and cockpit views of each flight with graphical view of up to 20 different flight parameters perfect for post training flight debriefings. Save time and money on troubleshooting discrepancies, fine tune engine parameters to optimum performance, and increase safety margins by monitoring trends and identifying potential problems before they occur. By documenting the operational history of your aircraft, you create a traceable pedigree for your aircraft, providing future buyers clarity and peace of mind.